Europe is rife with great Christmas traditions, but there are two that are unique to Catalunya and that both belong in this blog. 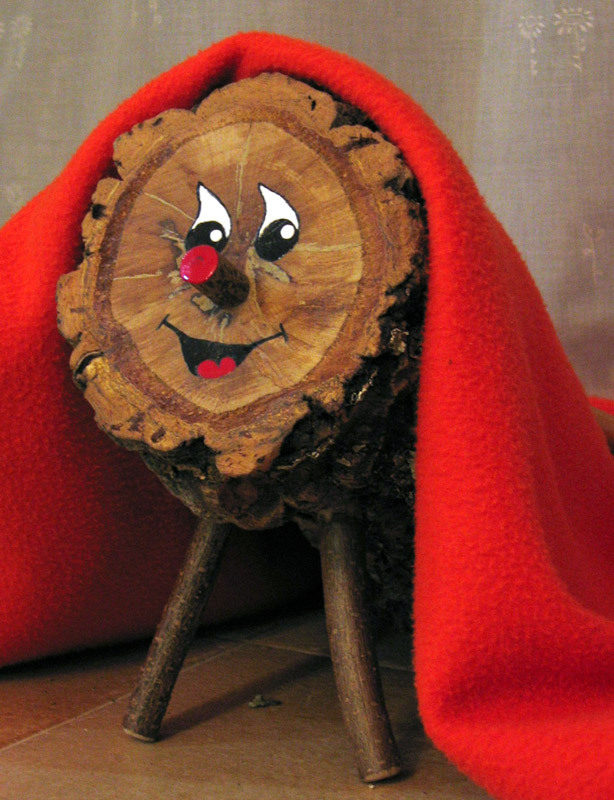 Caga Tio (“poo log”) is a hollow log that is kept warm under a blanket and “fed” every day starting December 8; on Christmas day, the log is prodded with a stick to defecate presents. Kids are sent away to pray for good gifts, so that adults can load its rear end with candy and small gifts. El Caganer is the figure of a peasant, pants down, taking a dump. The figurine is placed at the back of nativity scenes and kids are asked to find it. The origin of this character is obscure: scholars have offered several theories (Wikipedia’s entry lists eight of them, ranging from fertility symbol, counterpoint to excessive ornamentation, to (my favourite) “a lost link between transcendence and contingency”. 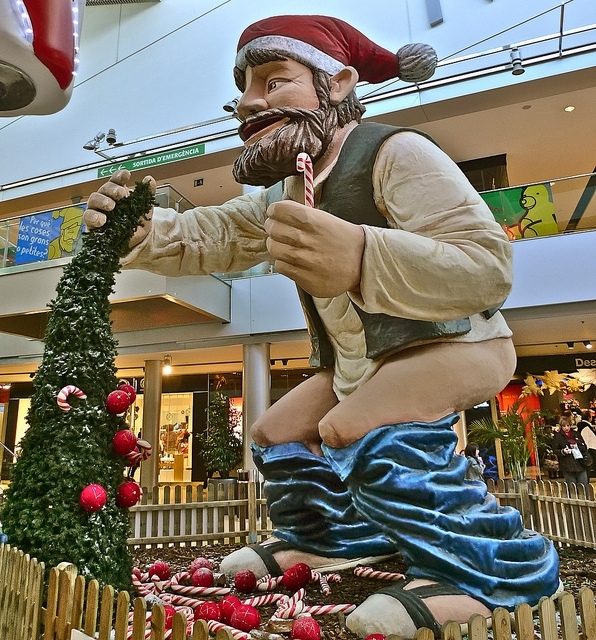 There was the legend that if a countryside man did not put a caganer in the nativity scene, he would have a very bad year collecting vegetables. [A colleague offered] that defecation is the great leveller, a reminder that we are all equal. Otherwise, he suggests, the focus on faeces is just another sign of how the Catalans love to be different.